Sedans, hatches, SUVs or crossovers, who wouldn’t want to have a first hand sneak peek into the future of cars? 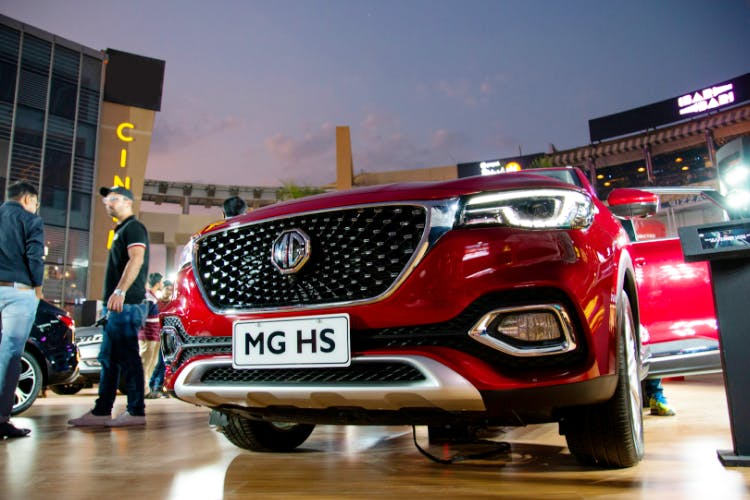 Ahead of the awaited launch of British automobile maker, MG Motor's swanky new SUV, MG Hector, they're bringing to us a roomful of gleaming new cars on display that have already created a rage on the roads of UK, China, Thailand and Middle East. Here's your chance to check them out at WTP Mall, Jaipur on March 29 to March 31. If you want to know what the future tech of automobiles is going to look like, you really wouldn’t want to miss this! Auto enthusiasts, technology geeks, auto and tech bloggers and everyone else who itches to know what this iconic brand has in store for the future of the automobile industry. This is especially a must-visit if you're going to Jaipur for a short getaway and in case you’re planning to purchase a brand new beast for yourself. Spread the word among all friends and fam in the pink city! Here’s your chance to witness what’s to come in the world of cars, get up close and personal with the features and interiors of the cars on display. Be there to experience the world of the British motoring icon, the brand that redefined the world of cars. The space would be bursting with cheer and excitement before you know it. The display is on for three days only, so be there to live all the action. Follow MG Motor on Facebook and Instagram for all updates.